Tierney’s team of professionals are dedicated to working with Digital Alchemy so clients can improve their marketing efficiency and capture latent customer value. 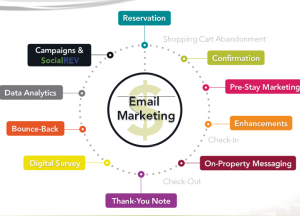 Digital Alchemy has been the leader in hospitality CRM for more than 17 years and pioneered virtually every email-based concept in use for the hospitality industry today. Now available across Ireland and the UK, Tierney’s will help hotels connect with guests, keep them engaged, and build long-term relationships. We offer a full-service agency providing responsive design, quality control and measurement. Establish your brand and use real-time data directly from your PMS. The content will be customised and delivered. SPECIAL OFFER ONLY VALID FOR BOOKINGS FROM 25 NOV – 25 DECEMBER 2016 – 3 Months Fees FREE when you sign up to Digital Alchemy. Benefits of using Digital Alchemy? Digital Alchemy Software adhere’s to the highest standards of service, content presentation and technology.